Christianity in China has a history going back to the 7th century during the Tang dynasty. Today, it comprises Catholics, Protestants, and a small number of Orthodox Christians. Although its lineage in China is not as ancient as Taoism, Mahayana Buddhism or Confucianism, Christianity has been one of the religions of China since at least the seventh century and has gained influence over the past 200 years. The number of Chinese Christians has increased significantly since the easing of restrictions on religious activity during economic reforms in the late 1970s; Christians were four million before 1949 (three million Catholics and one million Protestants). Accurate data on Chinese Christians is hard to access. According to official figures, Christians are 8 million, which excludes children and unregistered churches. On the other hand, some international Christian organizations estimate there are tens of millions more. The practice of religion continues to be tightly controlled by government authorities. Chinese over the age of 18 are only permitted to join officially sanctioned Christian groups registered with the government-approved Protestant Three-Self Church and China Christian Council, and Chinese Patriotic Catholic Church. On the other hand, many Christians practice in informal networks and unregistered congregations, often described as house churches or underground churches, the proliferation of which began in the 1950s when many Chinese Protestants and Catholics began to reject state-controlled structures purported to represent them. Members of such groups are said to represent the "silent majority" of Chinese Christians and represent many diverse theological traditions. Terms for Christianity in Chinese include: "Protestantism" (Chinese: 基督教新教; pinyin: Jīdū jiào xīn jiào; literally: "Christ religion's new religion"); "Catholicism" (Chinese: 天主教; pinyin: Tiānzhǔ jiào; literally: "Heavenly Lord religion"); and Eastern Orthodox Christians (Chinese: 東正教/东正教; pinyin: Dōng zhèng jiào; literally: "Eastern Orthodox religion"). The whole of Orthodox Christianity is named Zhèng jiào (正教). Christians in China are referred to as "Christ followers/believers" (Chinese: 基督徒; pinyin: Jīdū tú) or "Christ religion followers/believers" (Chinese: 基督教徒; pinyin: Jīdū jiào tú). Two (possibly Nestorian) monks were preaching Christianity in India in the 6th century before they smuggled silkworm eggs from China to the Eastern Roman Empire. 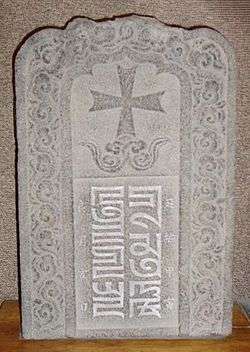 Karel Pieters noted that some Christian gravestones dated from the Song and Liao dynasties, implying that some Christians remained in China. 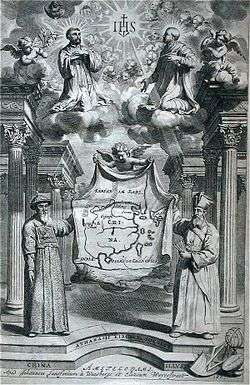 Nestorianism was well established in China, as is attested by the monks Rabban Bar Sauma and Rabban Marcos, both of whom made a famous pilgrimage to the West, visiting many Nestorian communities along the way. Marcos was elected as Patriarch of the Church of the East, and Bar Sauma went as far as visiting the courts of Europe in 1287-1288, where he told Western monarchs about Christianity among the Mongols. In 1289, Franciscan friars from Europe initiated mission work in China. For about a century they worked in parallel with the Nestorian Christians. The Franciscan mission disappeared from 1368, as the Ming dynasty set out to eject all foreign influences. The Chinese called Muslims, Jews, and Christians in ancient times by the same name, "Hui Hui" (Hwuy-hwuy). Crossworshipers (Christians) were called "Hwuy who abstain from animals with the cloven foot", Muslims were called "Hwuy who abstain from pork", Jews were called "Hwuy who extract the sinews". "Hwuy-tsze" (Hui zi) or "Hwuy-hwuy" (Hui Hui) is presently used almost exclusively for Muslims, but Jews were still called "Lan Maou Hwuy tsze" (Lan Mao Hui zi) which means "Blue-cap Hui zi". At Kaifeng, Jews were called "Teaou-kin-keaou", "extract-sinew religion". Jews and Muslims in China shared the same name for synagogue and mosque, which were both called "Tsing-chin sze" (Qingzhen si), "temple of purity and truth", the name dated to the thirteenth century. 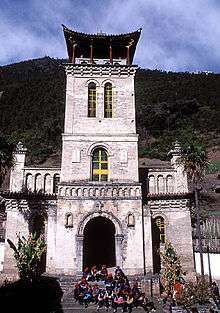 The synagogue and mosques were also known as "Le-pae sze" (Libai si). A tablet indicated that Judaism was once known as "Yih-tsze-lo-nee-keaou" (Israelitish religion) and synagogues known as "Yih-tsze lo née leen" (Israelitish temple), but it faded out of use. Above: Francis Xavier (left), Ignatius of Loyola (right) and Christ at the upper center. Below: Matteo Ricci (right) and Xu Guangqi (left), all in dialogue towards the evangelization of China. By the 16th century, there is no reliable information about any practicing Christians remaining in China. Fairly soon after the establishment of the direct European maritime contact with China (1513), and the creation of the Society of Jesus (1540), at least some Chinese become involved with the Jesuit effort. As early as 1546, two Chinese boys became enrolled into the Jesuits' St. Paul's College in Goa, the capital of Portuguese India. It is one of these two Christian Chinese, known as Antonio, who accompanied St. Francis Xavier, a co-founder of the Society of Jesus, when he decided to start missionary work in China. However, Xavier was not able to find a way to enter the Chinese mainland, and died in 1552 on Shangchuan Island off the coast of Guangdong. 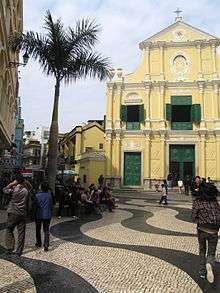 It was the new regional manager ("Visitor") of the order, Alessandro Valignano, who, on his visit to Macau in 1578-1579 realized that Jesuits weren't going to get far in China without a sound grounding in the language and culture of the country. 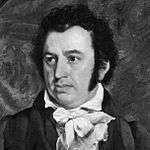 He founded St. Paul's College in Macau and requested the Order's superiors in Goa to send a suitably talented person to Macau to start the study of Chinese. In 1582, Jesuits once again initiated mission work in China, introducing Western science, mathematics, and astronomy. One of these missionaries was Matteo Ricci. In the early 18th century, the Chinese Rites controversy, a dispute within the Roman Catholic Church, arose over whether Chinese folk religion's rituals and offerings to their ancestors constituted idolatry. The Pope ultimately ruled against tolerating the continuation of these practices among Chinese Roman Catholic converts. Prior to this, the Jesuits had enjoyed considerable influence at court, but with the issuing of the papal bull, the emperor circulated edicts banning Christianity. The Catholic Church did not reverse this stance until 1939, after further investigation and a clarified ruling by Pope Pius XII. 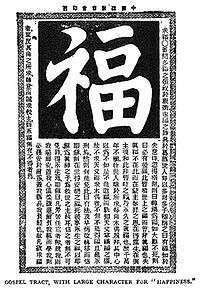 The Qing government code included a prohibition of "Wizards, Witches, and all Superstitions". 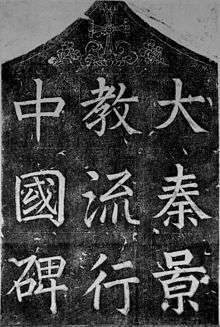 The Jiaqing Emperor, in 1814, added a sixth clause with reference to Christianity, modified in 1821 and printed in 1826 by the Daoguang Emperor prohibitng those who spread Christianity among Han Chinese and Manchus. Christians who would not repent their conversion were to be sent to Muslim cities in Xinjiang, to be given as slaves to Muslim leaders and beys. Some hoped that the Chinese government would discriminate between Protestantism and the Catholic Church, since the law was directed at Rome, but after Protestant missionaries in 1835-6 gave Christian books to Chinese, the Daoguang Emperor demanded to know who were the "traitorous natives in Canton who had supplied them with books". The China Inland Mission was the largest mission agency in China and it is estimated that Taylor was responsible for more people being converted to Christianity than at any other time since Paul the Apostle brought Christian teaching to Europe. Out of the 8,500 Protestant missionaries that were at one time at work in China, 1000 of them were from the China Inland Mission.< It was Dixon Edward Hoste, the successor to Hudson Taylor, who originally expressed the self-governing principles of the Three-Self Church, at the time he was articulating the goal of the China Inland Mission to establish an indigenous Chinese Church that was free from foreign control. The Qing dynasty government permitted Christian missionaries to enter and proselytize in Tibetan lands, in order to weaken the power of the Tibetan Buddhist lamas, who refused to give allegiance to the Chinese. The Tibetan lamas were alarmed by Catholic missionaries converting natives to Roman Catholicism. During the 1905 Tibetan Rebellion the Tibetan Buddhist Gelug Yellow Hat sect led a Tibetan revolt, with Tibetan men being led by lamas against Chinese officials, western Christian missionaries and native Christian converts. Wine making vineyards were left behind by them. Following the 1910 World Missionary Conference in Glasgow, Protestant missionaries energetically promoted what they called "indigenization", that is assigning the leadership of churches to local Christian leaders. The Chinese National YMCA was the first to do so. In the 1920s, a group of church leaders formed the National Christian Council to coordinate interdenominational activity. 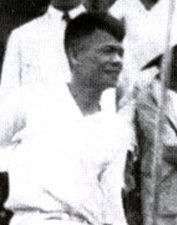 Among the leaders were the Cheng Jingyi, who was influential at the Glasgow Conference with his call for a non-denominational church. The way was prepared for the creation of the Church of Christ in China, a unified non-denominational Church. Many scholars term the historical period between the Boxer Uprising and the Second Sino-Japanese War as a golden age of Chinese Christianity, as converts grew rapidly and churches were built in many regions of China. Since then, persecution of Christians in China has been sporadic. During the Cultural Revolution believers were arrested and imprisoned and sometimes tortured for their faith. Bibles were destroyed, churches and homes were looted, and Christians were subjected to humiliation. Several thousand Christians were known to have been imprisoned between 1983-1993. In 1992 the government began a campaign to shut down all of the unregistered meetings. However, government implementation of restrictions since then has varied widely between regions of China and in many areas there is greater religious liberty. A Christian spiritual revival has grown in recent decades. While the Communist Party remains officially atheist, it has become more tolerant of churches outside party control. Christianity has grown rapidly, reaching 67 million people. In recent years, however, the Communist Party has looked with distrust on organizations with international ties; it tends to associate Christianity with subversive Western values, and has closed churches and schools. In 2015, Hong Kong has become a center of anti-Christian government activism. Many Christians hold meetings outside of the jurisdiction of the government-approved organizations and avoid registration with the government and are often illegal. While there has been continuous persecution of Chinese Christians throughout the twentieth century, particularly during the Cultural Revolution, there has been increasing tolerance of unregistered churches since the late 1970s. An instance of the burying alive of a pastor's wife in Henan during a church demolition, with suspicion of official complicity, was widely reported in April 2016. The Chinese Independent Churches are a group of Christian institutions that are independent from Western denominations. They were established in China in the late 19th and early 20th century, including the True Jesus Church. In the 1940s they gathered 200,000 adherents, that was 20% to 25% of the total Christian population of that time. Haidian Christian Church during the Christmas in 2007, Beijing. 2008: a survey of religions conducted in that year by Yu Tao of the University of Oxford with a survey scheme led and supervised by the Center for Chinese Agricultural Policy (CCAP) and the Peking University, analysing the rural populations of the six provinces of Jiangsu, Sichuan, Shaanxi, Jilin, Hebei and Fujian, each representing different geographic and economic regions of China, found that Christians constituted approximately 4% of the population, of which 3.54% were Protestants and 0.49% were Catholics. 2012: a survey conducted by the Chinese Family Panel Studies (CFPS) institute, found Christians forming 2.4% of the population of Han China, or between 30 and 40 million people in absolute numbers. Of these, 1.9% were Protestants and 0.4% were Catholics. Protestants concentrate mainly in three regions: Henan, Anhui and Zhejiang. In these provinces the Christian population is in the millions, yet small in percentage. For instance, in Zhejiang 2.8% of the population is officially Protestant as of 1999, higher than the national average. In Wenzhou, a city of Zhejiang, about one million people (approximately 11%) are Christians, the highest concentration in one city. The Protestant population consists predominantly of illiterate or semi-illiterate people, elderly people and women. These characteristics are confirmed by the findings of the Yu Tao survey of 2008, which also found that Protestantism has the lowest proportion of believers who are at the same time members of the Communist Party of China in comparison to other religions, and by the Chinese Family Panel Studies' survey of 2012. Controversy exists regarding the veracity of estimates published by some sources. For example, Gerda Wielander (2013) has claimed that estimates of the number of Christians in China that have been spread by Western media may have been highly inflated. For instance, according to Asia Harvest, a US non-profit organization and "inter-denominational Christian ministry", there were 105 millions Christians in China in 2011. The compiler of these figures, Paul Hattaway, indicates that his figures are his own estimate, based on more than 2,000 published sources such as Internet reports, journals, and books, as well as interviews with house church leaders. The study points out that “owing to the difficulties of conducting such a [study] in China today – not the least of which is the sheer size of the country – there is [in the study’s rough estimation] a margin of error of 20 percent.” Citing one of the aforementioned surveys, Gerda Wielander says that the actual number of Christians is around 30 million. Similarly, missionary researcher Tony Lambert has highlighted that an estimate of "one hundred million Chinese Christians" was already being spread by American Christian media in 1983, and has been further exaggerated, through a chain of misquotations, in the 2000s. Christopher Marsh (2011) too has been critical of these overestimations. On the 6th January 2015, David Ferguson published on the People's Daily the satirical news Merry Christmas, 100 million Chinese! criticising such type of journalism. Taiwan, with the division of China in 1949, was the only province to remain under the government of Republic of China, while the mainland became the People's Republic under the Communist Party of China. Taiwan continued the policy on religions that characterised the early republic, and fully liberalised religions in the 1980s, the period of its economic miracle. Christianity in Taiwan constitutes 3.9% of the population according to the census of 2005. Christians on the island include approximately 600.000 Protestants, 300.000 Catholics and a small number of Mormons. Christians were 4.3% in 1994. Indeed, Christianity in Taiwan has been on the decline since the 1970s, after a strong growth from 1950 to the 1960s. Since the 1980s, American officials visiting China have on multiple occasions visited Chinese churches, including President George W. Bush, who attended one of Beijing's five officially-recognized Protestant churches during a November 2005 Asia tour, and the Kuanjie Protestant Church in 2008. Secretary of State Condoleezza Rice attended Palm Sunday services in Beijing in 2005. ↑ A survey is a scientific statistical analysis based on empirical research conducted on the population through sampling. ↑ An estimate is a projected number that is usually not based on a scientific statistical analysis. ↑ Data for Gansu, Guangdong, Liaoning, Henan, and Shanghai is updated according to the findings of the Chinese Family Panel Studies of 2012. ↑ Data for all provinces with Han Chinese majority, excluding Hainan, Hong Kong, Inner Mongolia, Macau, Ningxia, Qinghai, Tibet and Xinjiang. ↑ Daniel H. Bays. A New History of Christianity in China. (Chichester, West Sussex ; Malden, MA: Wiley-Blackwell, Blackwell Guides to Global Christianity, 2012). ISBN 9781405159548. 1 2 Lambert, Tony. Counting Christians in China: A Cautionary Report. International Bulletin of Missionary Research, 2003, vol. 27, no 1, p. 6-10. ↑ Tam, Jonathan; Hasmath, Reza (2015). "Navigating Uncertainty: The Survival Strategies of Religious NGOs in China". Journal of Civil Society. 11 (3): 283. doi:10.1080/17448689.2015.1061261. ISSN 1744-8689. ↑ Goossaert, Vincent and David A. Palmer. The Religious Question in Modern China. Chicago: The University of Chicago Press (2011), pp. 380-387. ↑ Hunter, Alan and Kim-Kwong Chan. Protestantism in Contemporary China. Cambridge: Cambridge University Press (1993), p. 178. ↑ Israel Smith Clare (1899). Library of Universal History: Containing a Record of the Human Race from the Earliest Historical Period to the Present Time; Embracing a General Survey of the Progress of Mankind in National and Social Life, Civil Government, Religion, Literature, Science and Art ... p. 1231. ↑ Keung. Ching Feng. p. 9. ↑ Halbertsma. Early Christian Remains of Inner Mongolia. p. 79. 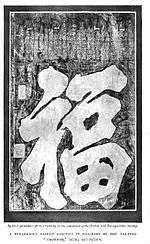 ↑ Chinese and Japanese repository of facts and events in science, history and art, relating to Eastern Asia, Volume 1. s.n. 1863. p. 18. Retrieved 2011-07-06. ↑ The Chinese repository, Volume 13. Printed for the proprietors. 1844. p. 475. Retrieved 2011-05-08. ↑ The Chinese repository, Volume 13. Printed for the proprietors. 1844. p. 474. Retrieved 2011-05-08. ↑ Donald Daniel Leslie (1998). "The Integration of Religious Minorities in China: The Case of Chinese Muslims" (PDF). The Fifty-ninth George Ernest Morrison Lecture in Ethnology. p. 15. Archived from the original (PDF) on 17 December 2010. Retrieved 30 November 2010. ↑ Mark C. Elliott (2001). The Manchu Way: The Eight Banners and Ethnic Identity in Late Imperial China (illustrated, reprint ed.). Stanford University Press. p. 241. ISBN 0-8047-4684-2. Retrieved 2012-03-02. The Lord of Heaven is Heaven itself. . . . In the empire we have a temple for honoring Heaven and sacrificing to Him. We Manchus have Tiao Tchin. The first day of every year we burn incense and paper to honor Heaven. We Manchus have our own particular rites for honoring Heaven; the Mongols, Chinese, Russians, and Europeans also have their own particular rites for honoring Heaven. I have never said that he [Urcen, a son of Sunu] could not honor heaven but that everyone has his way of doing it. As a Manchu, Urcen should do it like us. 1 2 Robert Samuel Maclay (1861). Life among the Chinese: with characteristic sketches and incidents of missionary operations and prospects in China. Carlton & Porter. pp. 336–337. Retrieved 2011-07-06. 1 2 Austin, Alvyn (2007). China’s Millions: The China Inland Mission and Late Qing Society. Grand Rapids, Michigan: Eerdmans. ISBN 978-0-8028-2975-7. 1 2 ""The Cause of the Riots in the Yangtse Valley" (1891): Missionary Commentary on an Illustrated Anti-Christian Chinese Pamphlet", Visualizing Cultures, Cambridge: MIT, 2014 . 1 2 3 Gibbard, Noel (2015), "Griffith John: Faithful Pioneer Missionary", Builders of the Chinese Church: Pioneer Protestant Missionaries and Chinese Church Leaders, Cambridge: Lutterworth Press, p. 92, ISBN 978-0-7188-4413-4 . 1 2 "China", Appletons' Annual Cyclopaedia and Register of Important Events of the Year 1893, Vol. XXXIII or XVIII (New Series), New York: D. Appleton & Co., 1894, p. 149 . ↑ "Notes on Other Missions", The Church Missionary Intelligencer, Vol. XLIV or XVIII (New Series), London: Church Missionary Society, October 1893, p. 783 . 1 2 Clemmow, Frances (2012), Days of Sorrow, Times of Joy, Troubador Publishing, p. 102, ISBN 978-1-78088-255-0 . ↑ Kwong, Luke S.K. (1996), T'an Ssu-t'ung, 1865--1898: Life and Thought of a Reformer, Leiden: E.J. Brill, p. 86, ISBN 9004104712 . 1 2 Paul A. Cohen (1997). History in three keys: the boxers as event, experience, and myth. Columbia University Press. pp. 19, 114. ISBN 0-231-10651-3. Retrieved 2010-06-28. ↑ Lanxin Xiang (2003). The origins of the Boxer War: a multinational study. Psychology Press. p. 114. ISBN 0-7007-1563-0. Retrieved 2010-06-28. ↑ Grover, Amar (8 July 2016). "Yunnan Province, China's spectacular Shangri-La". The Telegraph. McCoy, Elin (April 19, 2016). "Tasting China's New, $250-a-Bottle Luxury Wine, Backed by LVMH". Bloomberg Pursuits. "The Mekong". The Economist. Feb 11, 2016. Steinberg, Jordan (April 22, 2016). "Moët Hennessy set to debut first luxury Yunnan wine". GoKunming. Schmitt, Patrick (June 2, 2016). "Moët's Chinese wine 'a logistical nightmare'". The Drinks Business. Robinson, Jancis (February 8, 2016). "China's Wine Promise". Sommelier India - India's Premier Wine Magazine. No. 1. Staff. "China now boasts more wine-making vineyards than France". The Associated Press. Paris. Scally, Patrick (April 30, 2015). "Moët Hennessy to debut Yunnan wine this fall". GoKunming. McCoy, Elin (April 28, 2016). "Tasting China's new, $250-a-bottle luxury wine, backed by LVMH". Bloomberg. ↑ Daniel H. Bays. A New History of Christianity in China. (Malden, MA: Wiley-Blackwell, 2012)., pp. 110-111. ↑ Patrick Fuliang Shan, “Triumph after Catastrophe: Church, State and Society in Post-Boxer China, 1900-1937,” Peace and Conflict Studies, (Fall 2009, vol.16, no.2), pp. 33-50. ↑ "Church leader's wife dead after buried alive during church demolition". China Aid. 2016-04-18. Archived from the original on 2016-04-20. Retrieved 2016-04-20. ↑ "Chinese Church Leader and Wife Buried Alive While Blocking Demolition of Church". Internation Christian Concern. 2016-04-19. Archived from the original on 2016-04-20. Retrieved 2016-04-20. 1 2 Dui Hua, issue 46, Winter 2012: Uncovering China’s Korean Christians. 1 2 Dr. G. Wright Doyle (2010). How Dangerous are Chinese House Churches. A review of "Redeemed by Fire: The Rise of Popular Christianity in Modern China", a book of Lian Xi. Yale University Press, 2010. ISBN 9780-300-12339-5. ↑ "Church in Talks to "Regularize" Activities in China" (Press release). August 30, 2010. Retrieved September 2, 2010. ↑ Pew Research Center's Religion and Public Life Project: Religion in China on the Eve of the 2008 Beijing Olympics, publishing the results of the 2005, 2006 and 2007 surveys of the Horizon Research Consultancy Group. 1 2 Mark Ellis: China Survey Reveals Fewer Christians than Some Evangelicals Want to Believe ASSIST News Service, October 1, 2007. 1 2 Mark Ellis: New China survey reveals fewer Christians than most estimates Christian Examiner, November 2007. 1 2 3 4 5 Yu Tao, University of Oxford. A Solo, a Duet, or an Ensemble? Analysing the Recent Development of Religious Communities in Contemporary Rural China. ECRAN - Europe-China Research and Advice Network. University of Nottingham, 2012. ↑ 2010 Chinese Spiritual Life Survey conducted by Dr. Yang Fenggang, Purdue University’s Center on Religion and Chinese Society. Statistics published in: Katharina Wenzel-Teuber, David Strait. 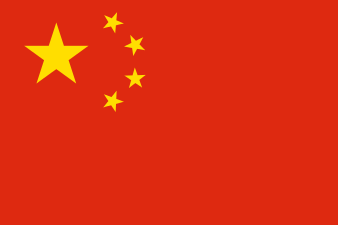 People’s Republic of China: Religions and Churches Statistical Overview 2011. Religions & Christianity in Today's China, Vol. II, 2012, No. 3, pp. 29-54, ISSN 2192-9289. 1 2 3 4 Chinese Family Panel Studies's survey of 2012. Published on: The World Religious Cultures issue 2014: 卢云峰：当代中国宗教状况报告——基于CFPS（2012）调查数据. 1 2 Chinese Family Panel Studies's survey of 2012. Published on: The World Religious Cultures issue 2014: 卢云峰：当代中国宗教状况报告——基于CFPS（2012）调查数据. p. 13, reporting the results of the Renmin University's Chinese General Social Survey (CGSS) for the years 2006, 2008, 2010 and 2011. ↑ David Ferguson. Merry Christmas, 100 million Chinese!. People's Daily Online, 6th January 2015. Retrieved 11-08-2015. ↑ China General Social Survey (CGSS) 2009. Results reported in: Xiuhua Wang, Explaining Christianity in China (2015, p. 15) Archived September 25, 2015, at the Wayback Machine..
↑ Hong Kong Year Book (2011): Chapter 18 - Religion and Custom. ↑ "The entry "Macau history" in Macau Encyclopedia" (in Chinese). Macau Foundation. Archived from the original on 13 October 2007. Retrieved 2 January 2008. 1 2 "Taiwan Yearbook 2006". Government of Information Office. 2006. Archived from the original on 2007-07-08. Retrieved 2007-09-01. ↑ Sun, Anna (2013). Confucianism as a World Religion: Contested Histories and Contemporary Realities. Princeton University Press. p. 115. ISBN 1400846080. ↑ "Billy Graham: an appreciation: wherever one travels around the world, the names of three Baptists are immediately known and appreciated--Jimmy Carter, Billy Graham and Martin Luther King, Jr. One is a politician, one an evangelist, and the other was a civil rights leader. All of them have given Baptists and the Christian faith a good reputation. (Biography)". Baptist History and Heritage. June 22, 2006. Retrieved 2007-08-18. ↑ View all comments that have been posted about this article. (2005-11-19). "Bush Attends Beijing Church, Promoting Religious Freedom". Washingtonpost.com. Retrieved 2012-02-29. ↑ "President Bush Visited Officially Staged Church Service; House Church Pastor Hua Huiqi Arrested and Escaped from Police Custody". China Aid. 2008-08-10. Retrieved 2008-08-10. ↑ "Bush visits controversial Beijing church". Beijing News. 2008-08-10. Retrieved 2008-08-10. 1 2 See U.S. State Department "International Religious Freedom Report 2008"
↑ Blanchard, Ben (2008-08-07). "Beijing police stop protest by U.S. Christians". Reuters. Retrieved 2008-08-08. ↑ Carlson, Mark (2008-08-07). "U.S. Demonstrators Taken From Tiananmen Square". Associated Press. Retrieved 2008-08-08. ↑ "Three Protesters Dragged Away From Tiananmen Square". Epoch Times. 2008-08-07. Retrieved 2008-08-08. Herbermann, Charles, ed. (1913). "The Church in China". Catholic Encyclopedia. New York: Robert Appleton Company.